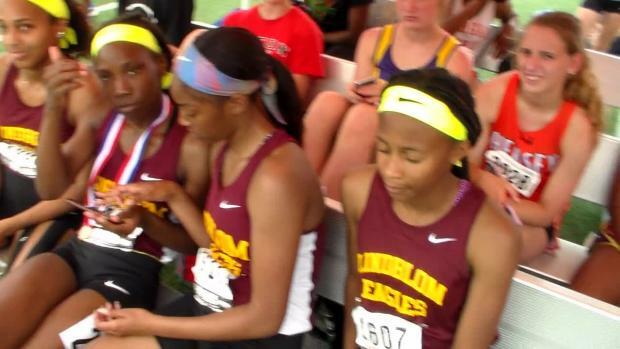 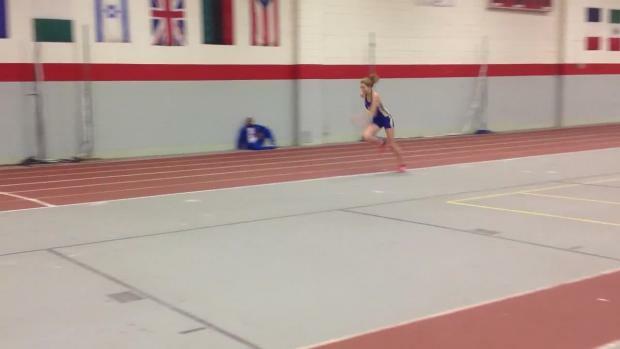 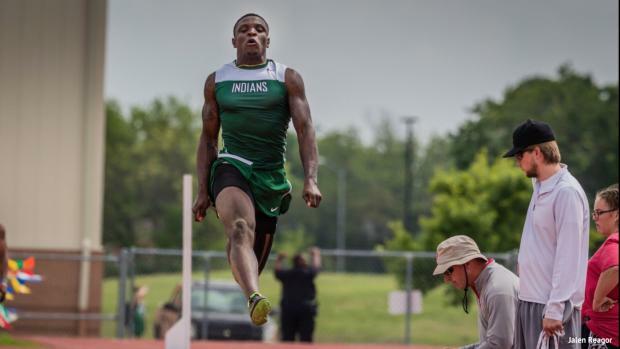 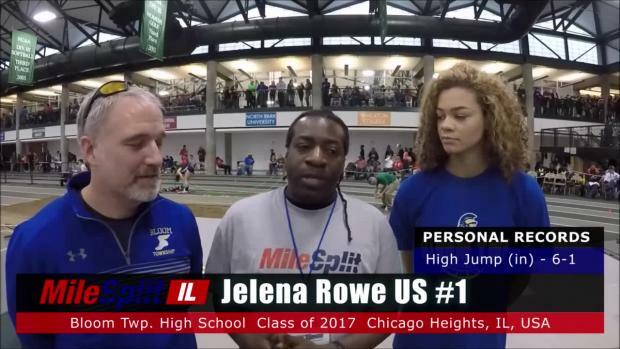 Chicago Heights Bloom Township (IL) High senior Jelena Rowe cemented herself as the best high jumper in the state of Illinois when she hit on a US #1 attempt of 6-foot-1 at the Illinois Top Times meet in Bloomington. 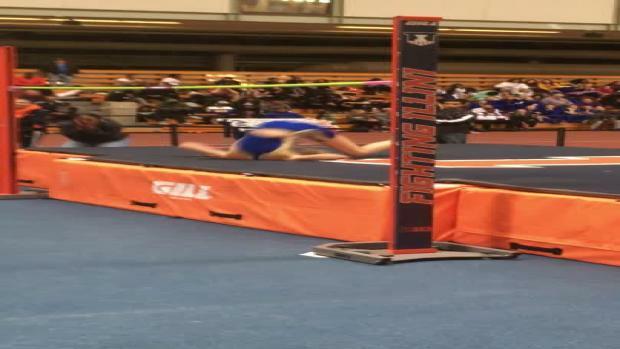 The performance was witnessed by a packed house inside of the Shirk Center on the campus of Illinois Wesleyan University. 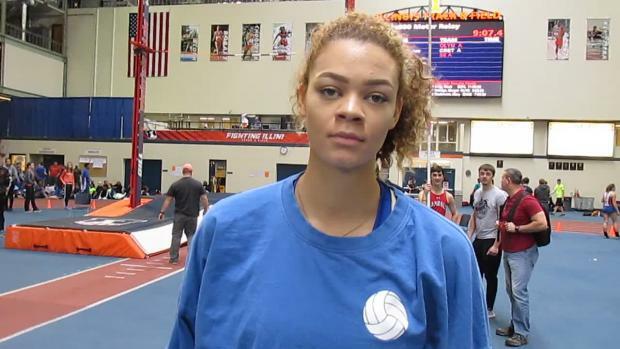 Rowe, a senior from Chicago Heights, and her coach Andy Schmitt took a moment to talk about the special occasion (cover photo credit to Tony Holler).